The Olympic gold medalist just sold the Los Angeles house for $3.65 million. Lindsey Vonn isn’t just making moves in Pyeongchang — the Olympic skier also just wrapped up a real estate deal on her Los Angeles home, selling it for $3.65 million. 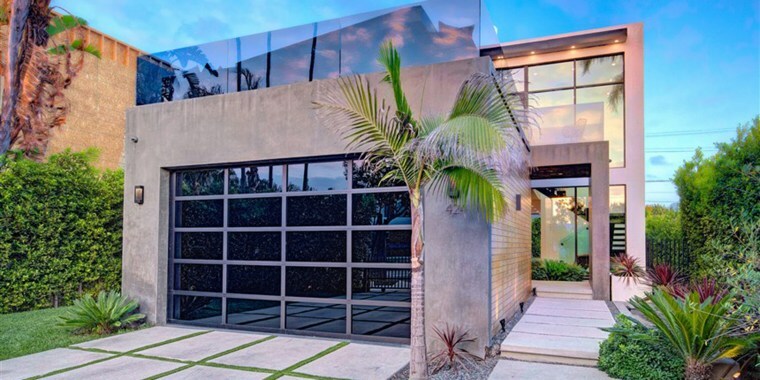 The 5,000-square-foot Beverly Grove house is the ultimate Zen retreat. It’s almost a shame she won’t be going back to it when the Olympics are over, as it seems like the perfect place for a little post-competition rest and relaxation. A dramatic two-story, glass entrance hall makes quite the first impression, and an open floor plan on the first floor lends itself to entertaining. The living room features a contemporary gas fireplace, making the space feel as warm and cozy as a ski lodge. But you’ll soon realize you’re not in the snowy mountains when you look outside at the beautiful California weather. And you can let that warm sunshine in, thanks to the floor-to-ceiling door system that turns the space into indoor-outdoor living. In the custom Miton Italian kitchen, you’ll find Miele appliances, a large center island and a built-in breakfast bar. We imagine Vonn enjoyed plenty of healthy snacks and meals in there! Upstairs, the spacious master suite features a sitting area, fireplace, built-in closet and a balcony overlooking the pool. The master bath feels like the ultimate spa with its deep soaking tub, dual sinks and oversized shower. There’s also a 400-square-foot patio on the second level that’s the perfect place to watch the sunset and feel on top of the world (gold medal or not). The home also has a private first-floor deck featuring a zero-edge pool, hot tub and outdoor shower. Even though this house is officially off the market, Vonn will still be able to call Los Angeles home. Last year she bought a modern home in the Sherman Oaks neighborhood.